Sea lice are naturally occurring parasites that feed on the skin and mucous of both wild and farmed salmon. 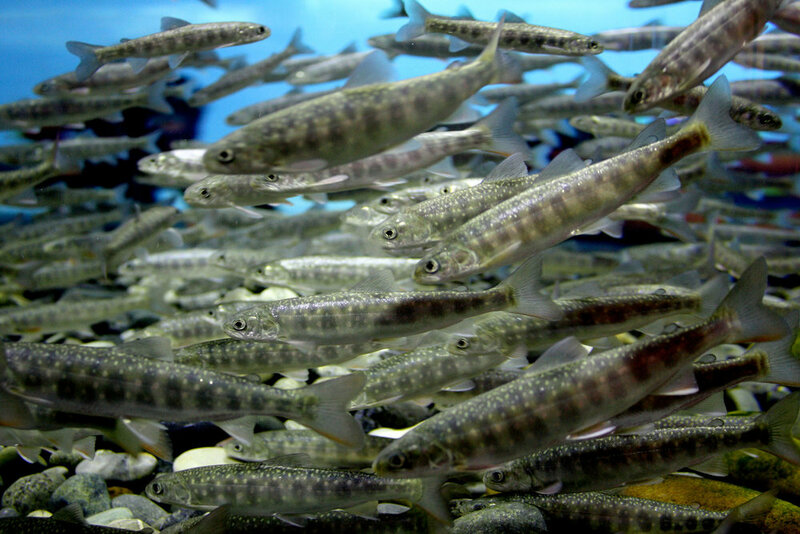 Sea lice cannot live in fresh water – therefore all smolts are free of sea lice before they enter the net pens. 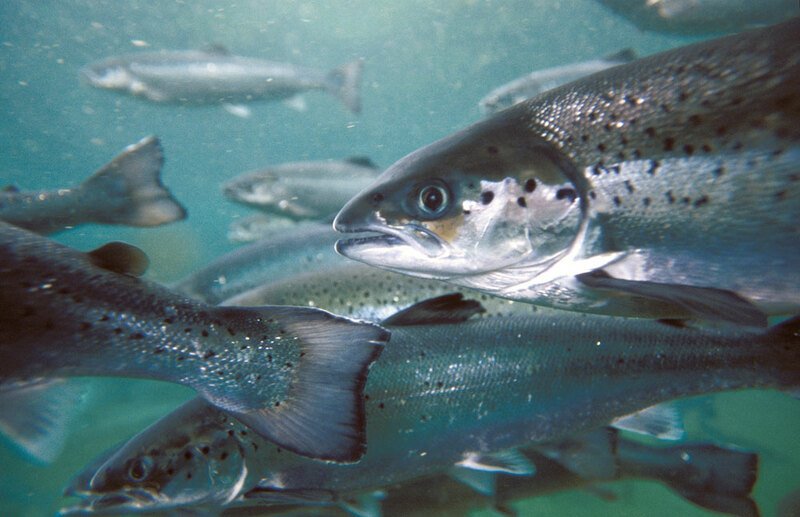 However, since sea lice are able to pass through the netting of the pens, farmed salmon may become infected by the sea lice carried by wild salmon in the surrounding water. Since this parasite cannot be eliminated from wild salmon, salmon farmers have developed management practices that reduce the likelihood of infection. Under the supervision of a veterinarian, all farm sites employ an integrated pest management plan, which outlines a multi-level approach to controlling sea lice. A recent scientific study found that wild salmon in an area where there were no farms had as many sea lice as wild salmon in an area where salmon farming occurs. A second recent scientific study found exceptionally high numbers of wild salmon in an area containing 16 active salmon farms – and concluded that wild salmon populations and farmed Atlantic salmon could coexist successfully. Other scientific studies have shown that young pink salmon mount an effective immune response to sea lice infection. This immune response causes the lice to be shed from the salmon – and thereby protects the young salmon from illness or death due to sea lice infection. The Atlantic Salmon Federation, a New Brunswick-based conservation organization dedicated to saving wild Atlantic salmon, confirms that sea lice from farms in the Bay of Fundy are not infecting wild salmon. Energy Use: the evidence indicates that the life-cycle energy intensity for farm-raised salmon is better than beef. GHG Emissions: GHG emissions for farm-raised salmon are lower than beef, poultry and pork. Water Use: Farm-raised salmon has consistently lower water use than other types of animal farming, using only a small fraction of the water compared to other species. Land Use: Farm-raised salmon requires much less land than used in the production of most other species. All salmon farming companies in Canada are certified to one or more third-party certification program that assures consumers that they are purchasing high quality, sustainably produced salmon. Tilapia is sometimes referred to as St. Peter’s fish, as they are believed to be the fish caught when Christ asked St. Peter to cast out his net in the Sea of Galilee. It is believed the Egyptians farmed tilapia for food over 3,000 years ago. Atlantic halibut are farmed in New Brunswick and Nova Scotia. Halibut are fed pelleted feeds containing high quality ingredients such as fish oils, meals, vitamins and minerals that ensure an excellent feeding response and good growth. During the on-growing phase, halibut require only 1 to 1.5 kg of feed for every kg of weight gained. All approvals for halibut farms in Canada are subject to an intensive environmental review according to both federal and provincial legislation, including the Canadian Environmental Assessment Act (CEAA). Halibut farms can only be sited in areas where water currents provide optimal conditions for fish health and environmental sustainability. An adult broodstock Atlantic halibut weighs between 50 and 125 kgs - larger than most humans. They are very powerful and one flick of the tail of a broodstock halibut can easily break a human arm or leg. The shelf-life of fresh, head-on gutted halibut is up to three weeks on ice, much longer than most fish. The protective mucous on the fish’s skin contains hyppicin, a naturally occurring compound produced by the halibut that prevents bacterial development and reduces spoilage after harvest. 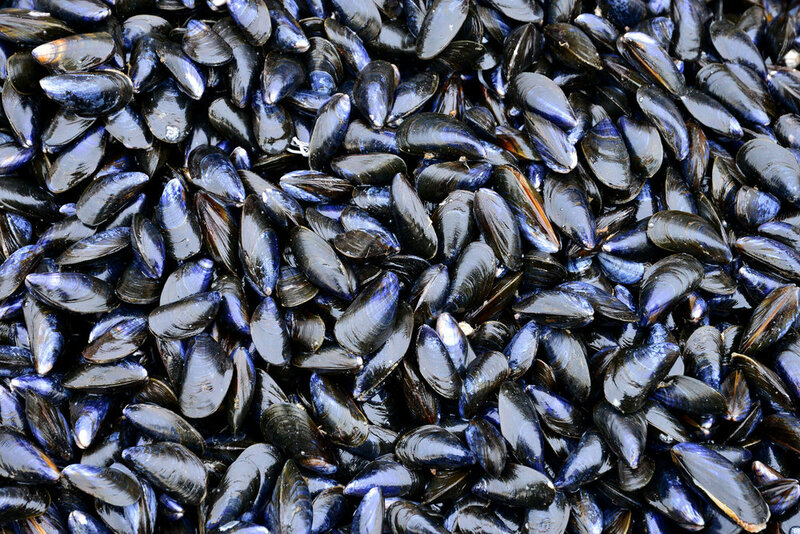 British Columbia is Canada’s major clam producing province. Softshell clams are farmed in Nova Scotia and Quebec, and quahaugs in Nova Scotia. Aside from their food value, clams are efficient accumulators of environmental contaminants such as heavy metals and have been used in some areas for habitat remediation from industrial pollution. Clams are excellent sources of protein and calcium, are rich in minerals such as iron and zinc, and contain good levels of vitamin B. They also contain high levels of natural DHA omega-3 fatty acids that are essential for human functions and important in reducing the risk of heart disease and other human diseases. Scallops have the ability to “swim” short distances by rapidly snapping their shells. This ability develops an oversized muscle referred to as the adductor, the main edible portion of the scallop.